Join us for our first Mead and Cupcake pairing. 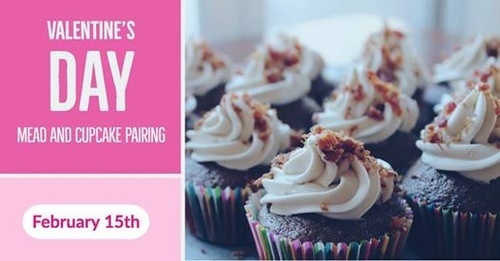 Come enjoy two different cupcakes paired with two glasses of mead. Cupcakes will be made by our friends at BAKE FOR YOU. For the event we will also be releasing a Session Triple Strawberry Vanilla Mead as well as a Bourbon Barrel Cherry Mead. Cost for the two cupcakes as well as two glasses of mead of you choice will be $12.00. Supplies will be limited, if you would like to reserve your cupcakes please email us (info@royalmeadery.com) or message us on Facebook.